When testing the image widget recently, I found that many of the folks I tested with confused the image URL field with a place to add a link to their image. It says "URL," so people expect they can select and paste a URL into it. It's also is automatically focused when you select an image, which immediately draws some attention to it. 41612.png​ (209.0 KB) - added by audrasjb 15 months ago. 41612.diff​ (3.7 KB) - added by audrasjb 14 months ago. 41612.2.diff​ (14.9 KB) - added by afercia 7 weeks ago. 41612.3.diff​ (17.7 KB) - added by afercia 6 weeks ago. It's also is automatically focused when you select an image, which immediately draws some attention to it. + 1k :) and maybe move the alt text up, since it's even more important than "Title"
and maybe move the alt text up, since it's even more important than "Title"
Could also be a good to tell people in a sentence why they should add alt text. Now that Gutenberg does something similar, that makes even more sense to me. I;d try to limit the changes to text and re-ordering fields though. Thoughts? URL field: moved to the bottom. I replaced "URL" label with "Permalink", so it's more relevant, not relative to media mime type and ok for the UI. Alt text field: moved just after the title (which is not the title html attribute but the Title of the media in the media library) and I added a description for this field. Ok finally here is my first patch for this ticket. This ticket was mentioned in ​Slack in #accessibility by audrasjb. ​View the logs. Re: the field being automatically focused, there's a pending patch on #43169 waiting for review since a few months. I'd also like to remark, kindly, that this ticket was created 14 months ago and still there's no feedback from the Media component maintainers. Discussed during today's accessibility bug-scrub an agreed we'd like to propose this for 4.9.9 consideration. Sounds like 4.9.9 is off, so I'm punting this to a future release. It doesn't appear this ticket can be handled in the next couple of weeks (still needs feedback from media/design component maintainers/team). Let's address it in 5.1 which is coming in February. Feel free to ask for changing the milestone if you think this issue can be quickly resolved. This ticket was mentioned in ​Slack in #core-media by audrasjb. ​View the logs. Noticed a few things that need to be addressed, will try to update the patch. 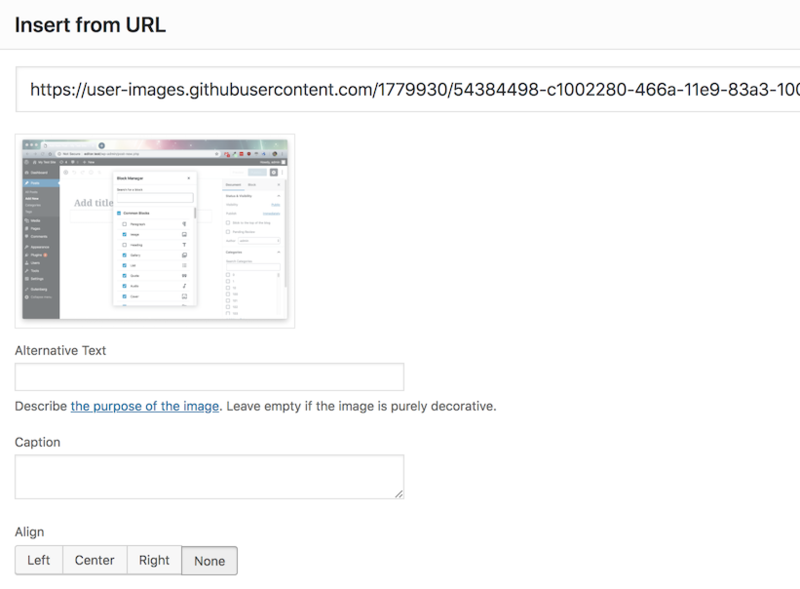 users don't need a specific term like "Media URL", "Attachment URL", etc. Thanks for your feedback @afercia . I love that idea. Although it is definitely a permanent link (so it's ok to call it by it's name), I think focusing on the main available action (copy-paste the URL) is a great idea. 41612.2.diff​ updates the patch and changes the URL field label to "Copy link". Looks like the other labels are all title case, so we should make it "Copy Link" to match. Otherwise, visually looks good to me. only in some cases it can be the image content, for linked images it can be the link destination, for purely decorative images it needs to be an empty string, etc. Alt Text is a verbal description/explanation of an image. It’s used by screen readers, and allows people with vision impairments to get a sense of the image’s content. 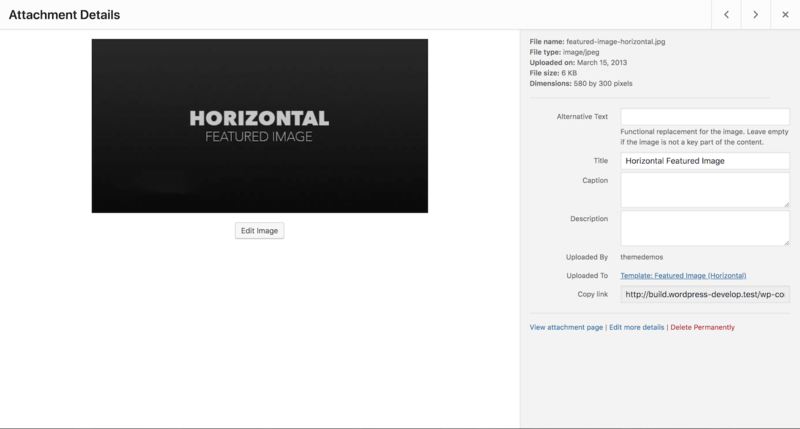 Alt Text is recommended for all key images used on a website. Alt Text is a verbal description/explanation of an image that allows people with vision impairments to get a sense of the image’s content. Describe [ link ] the purpose of the image [ /link ]. Leave empty if the image is purely decorative. where the link points to the ​W3C alt decision tree tutorial. 41612.3.diff​ refreshes the patch with the new alt text description. Also, moves the alt text field to the top and adds the description in the "Insert from URL" template (missed in the previous patches). 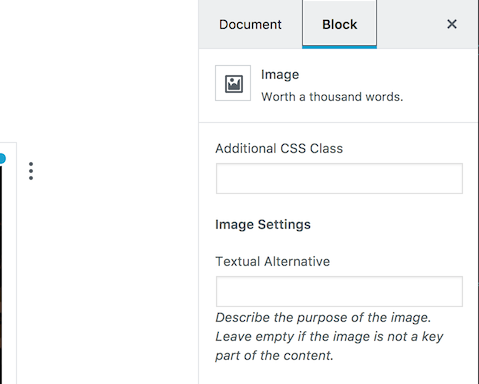 Accessibility: improve the "URL" and "Alt text" fields in the media modals. Many users found the attachment URL field confusing: it says "URL" so it may appear like a field meant to paste a URL into. Also, the Alt text field is the most important one in terms of content, while the Title field needs to be de-emphasized. 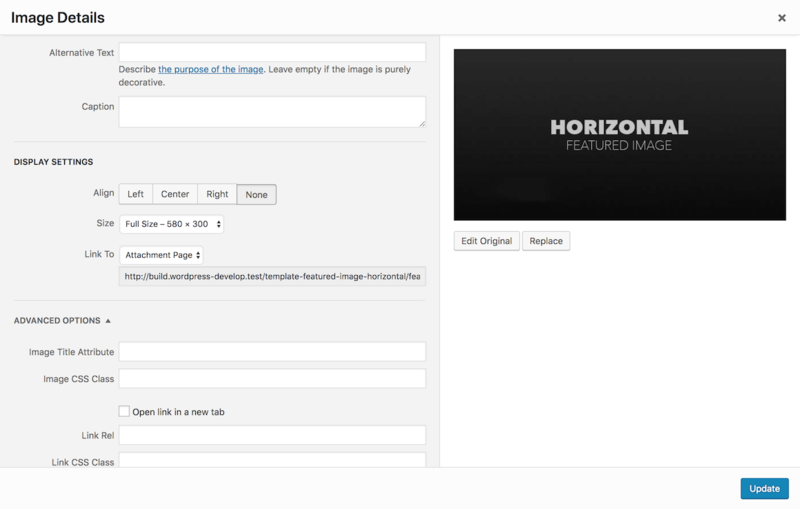 changes the URL field label to "Copy link"
Accessibility: Improve the "Alt text" description. Moves the word "Describe" within the link. Accessibility: Improve the "Alt text" description styles for small screens.